Question: What’s the most ruthless predator in the world’s oceans? Hint: it isn’t sharks. All right, here’s the answer: it’s us. Over the past decades people have overfished myriad marine species to the brink of extinction with no sign of slowing down. Sharks, widely (and erroneously) considered as the most fearsome predators in the globe’s seas, have been among the victims. Prized primarily for their fins, which are served as delicacies in Chinese cuisine, including at numerous Malaysian restaurants, sharks are being hunted ruthlessly. Encouragingly, however, efforts to protect endangered shark species are gaining momentum across Malaysia. Sabah’s government has just reiterated its commitment to protect sharks in the state’s waters. In Sabah, as elsewhere, the animals are worth far more alive in the sea than they are worth dead and served on a plate. For one thing, as apex predators they are key species in local marine ecosystems; for another, they are huge draws for the state’s diving industry, which brought it RM322 million last year. 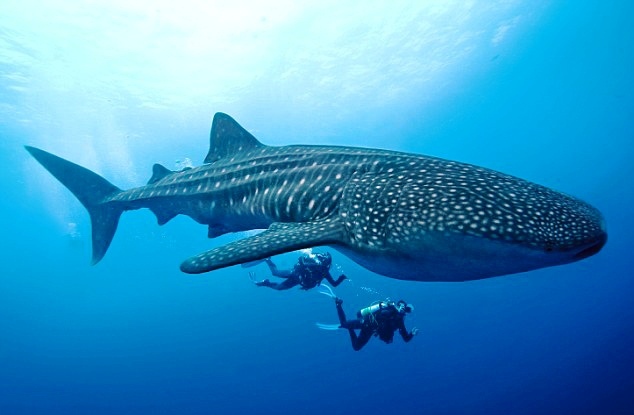 “Over 55,000 divers came to Sabah and one of the top reasons why they came was to see the sharks in the wild. And yet, here we are, selling sharks and shark fins in the market,” noted Tourism, Culture and Environment Minister Masidi Manjun. A vocal proponent of the need for more rigorous laws against shark hunting, the minister has called on the federal government once again to enact just such laws. “I have been asking for this for years,” he said. “Sometimes I get disappointed. The answer given to me is that there is no need for such law.” The minister begged to differ. “We need decisive action to protect sharks, not just for profit but for the environment,” said Masidi, who has recently announced his ministry’s plan to turn three local marine parks into shark sanctuaries. The parks cover a total of 2 million hectares and are home to around four-fifths of Sabah’s shark populations. The association has advised its more than 3,100 members against taking tourists to hotels and restaurants that serve shark fins. 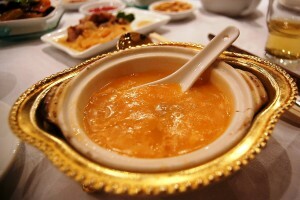 Leading hotel chains – including The Hilton, the Hyatt, JW Marriott, Le Meridien, the Peninsula, Shangri-La, Waldorf Astoria and Westin – have already stopped serving shark-fin soup, but according to a recent investigation by the Hong Kong Shark Foundation, almost all (98%) of the 375 Malaysian restaurants surveyed still serve the dish to their customers. Nothing short of a financially costly boycott is likely to sway them. “If voluntary efforts are ineffective, tourism authorities could compile a list of restaurants that serve shark fin so that tourists could boycott them altogether, and not just the dish,” Tan explained. It’s in Malaysians’ best long-term interest to protect their nation’s sharks, if only for economic reasons. “Many tourists are environmental conscious and promoting ecotourism would backfire if we continue to allow our sharks to be slaughtered,” he pointed out.